For example, when I made Metal Gear, it was an action game but it was different because the main thing was about hiding. People eventually ended up calling that ‘stealth action’. In this game the player will be controlling Norman but by playing it they will find something different, something that won’t fit in established terms. 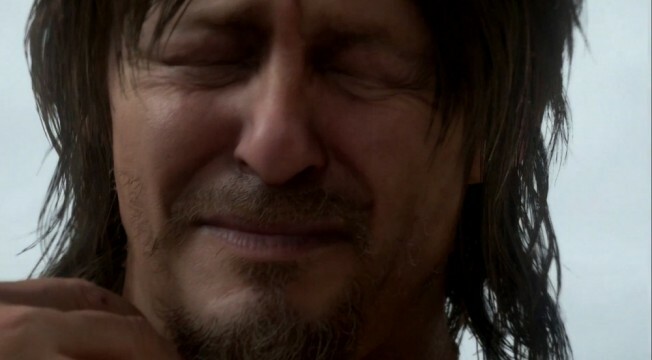 But when exactly can you expect to actually play Death Stranding? Not for a good while yet, it seems. Kojima says that the game hasn’t entered full production just yet as the development team are still looking for a game engine with which to make it. Hell, just the teaser trailer that was shown a few days ago took two months to make, he reveals. We are getting to a very good point about how we are feeling about the visuals so we are very close to making a decision on the game engine. Once that is decided we will be in full production. One thing I want to tell people is the teaser is running in real-time. We made it in two and half months – and generally teasers are not made by the development team. A lot of trailers are outsourced – that happens pretty often – but we don’t like to do that. We made this teaser ourselves, so people can trust us. Think you’ve successfully deciphered just what in the blazes Death Stranding‘s teaser trailer is all about? Let us know your theories in the comments section below.